In the music building, a group of student musicians play traditional Mexican music. Mariachi music is hummed by the strings of violins, vihuelas and guitars blend with the staccato of trumpets. The voices of boys and girls sing in Spanish about stories of the country just down south. Elliott Johnson, director and adjunct professor for the Mariachi Aguilas, has been with the group for five years. 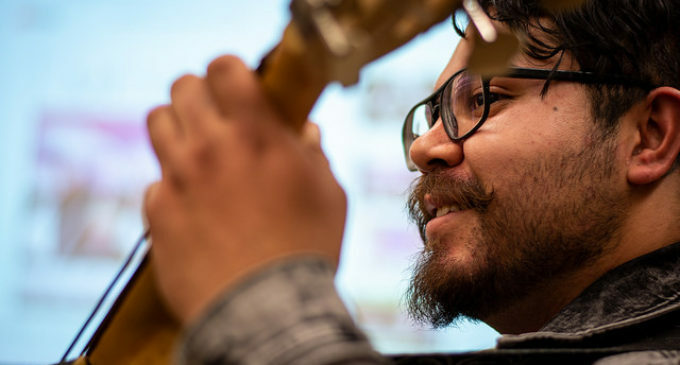 He initially came to UNT for his doctorate degree but after leaving the program last year, he stayed on as adjunct for this credit hour course, which students take before joining the mariachi group. Johnson said the group members are flexible and take up whatever sound is needed in the group. Johnson said the only obstacles the musicians in the group face are playing the music from memory. The fact that the language of the music is in Spanish and the different playing technique for the guitarrón or mariachi bass is tricky. “I’m very lucky to have players who are very experienced [and] can teach the newbies,” Johnson said. Johnson said those experienced players sometimes come from mariachi backgrounds where they have been playing the music from a very young age or were surrounded by family members that were mariachis. For 21-year-old vihuela player and singer Briana Villalobos, the constant adapting of the group is difficult. “For this particular ensemble, a lot of them are first-timers on the instrument or the genre itself,” Villalobos said. The most surprising thing about the group for Villalobos has been the confidence she has gained as a result of it. Villalobos, a Mexican herself, grew up listening to her uncles sing songs in the style she is now playing. 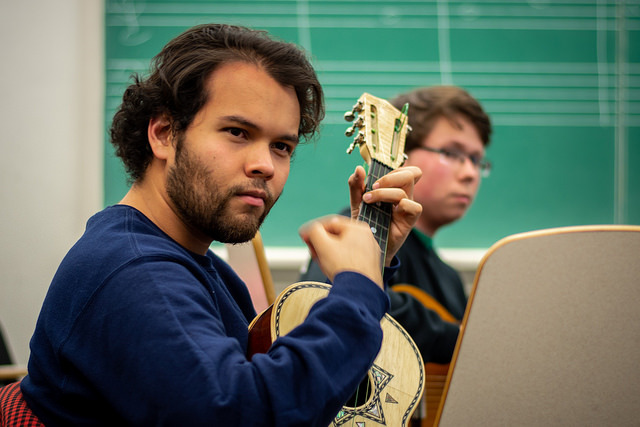 For psychology senior Erick Orozco, a guitar player and one of the oldest members, the group has given him a chance to reconnect with his culture. “My favorite thing has been getting to play the music of my ancestors [and] getting to represent my Mexican identity,” Orozco said. Garland said she was unsure if she could sing the song “Soy Pura Mexicana,” which means “I’m pure Mexican,” in front of everyone. She was able to overcome her hesitation by thinking of the story-telling nature of the art form, which is a lot about playing the character of the song. 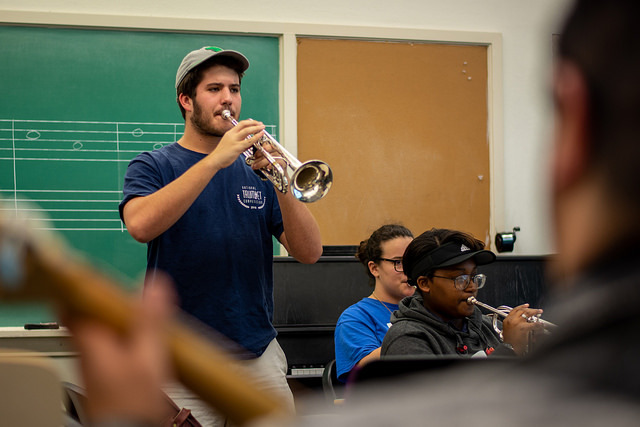 Similarly, sophomore and music education major Nathan Phillips had never played mariachi music until he came to UNT but decided to join the group after Garland encouraged him to. For Phillips, the group has allowed him to try something new, experience a new culture, meet different people and approach his instrument in a new way. For non-Spanish speakers, the language has been a fun obstacle and learning experience. 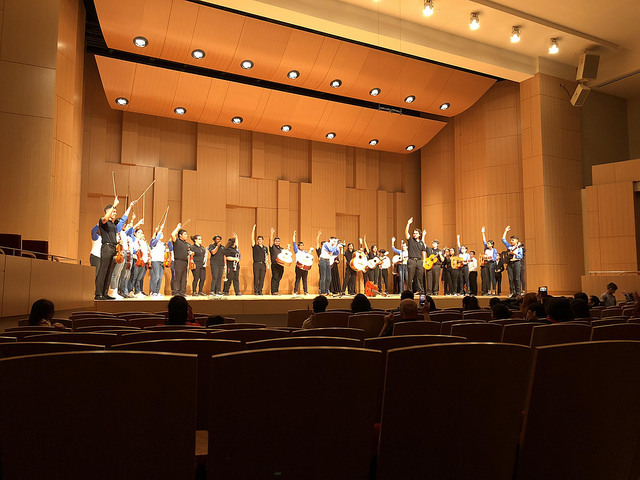 In November the Mariachi Aguilas held a joint performance with middle school and high school mariachi groups from schools in the Dallas-Fort Worth area. Johnson’s other job has him teaching high school students how to play mariachi music. 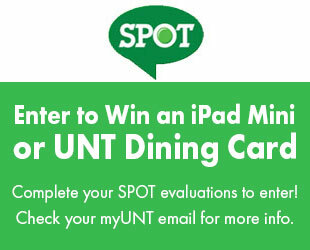 He sees how this builds bridges for kids in the Dallas-Fort Worth area to get to university. For Johnson, just getting kids excited about learning and higher education is enough. The Mariachi Aguilas group is not just restricted to music education majors like Garland and Phillips: Villalobos is a business major and Orozco is a psychology major. What a great community of amazing people that can connect with each other through music, culture, and heritage! I Love Mariachi Music!